You want to add wearability to your metal clay pieces by turning them into pins and pendants. You are looking for tips to help you solder commercial findings onto your metal clay pieces. You want to give your jewelry a custom look by creating your own findings from metal clay. Transform your metal clay pieces into wearable jewelry! Learn how to create metal clay findings with Noël Yovovich. Make the most out of your metal clay when you learn how to create custom findings with accomplished jewelry artist Noël Yovovich in Make Metal Clay Findings for Pins and Pendants. 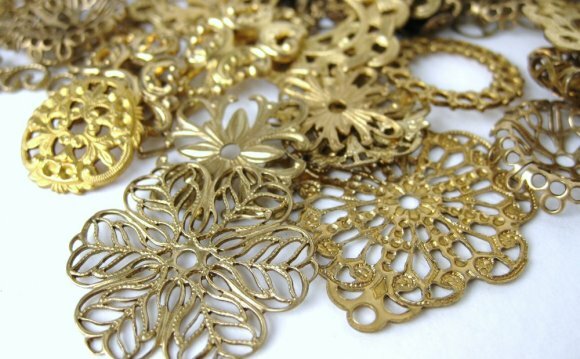 Discover a variety of bails and pin backs that will add a professional look to your jewelry designs by matching the style of your work. Create findings that can be hidden or make a splash with bold findings that make a statement. Plus, explore an easy method of soldering commercial findings to metal clay. The tips and techniques Noël shares are sure to unlock limitless possibilities for your metal clay jewelry designs! Watch as Noël adds fine silver sheet to her unfired metal clay to create an easy place to solder findings once the clay is fired. Explore a variety of custom bails and how to attach them to your jewelry pieces made out of fine silver or metal clay. Use an extruder to create pin back components out of metal clay. Add versatility to your jewelry designs when you learn how to create a multi-function pin back and bail.